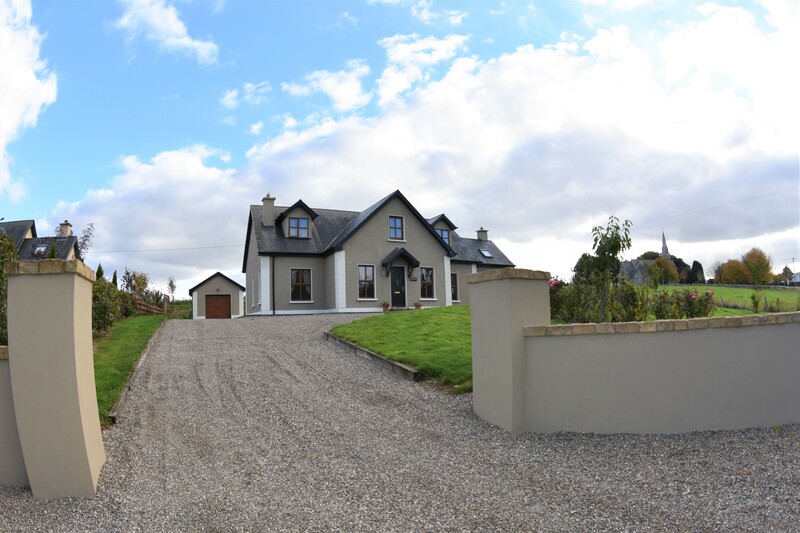 Cill Arann is a most admirable detached four bedroomed two storey residence with detached Garage positioned on a delightful elevated landscaped site of c 0.5 acre. 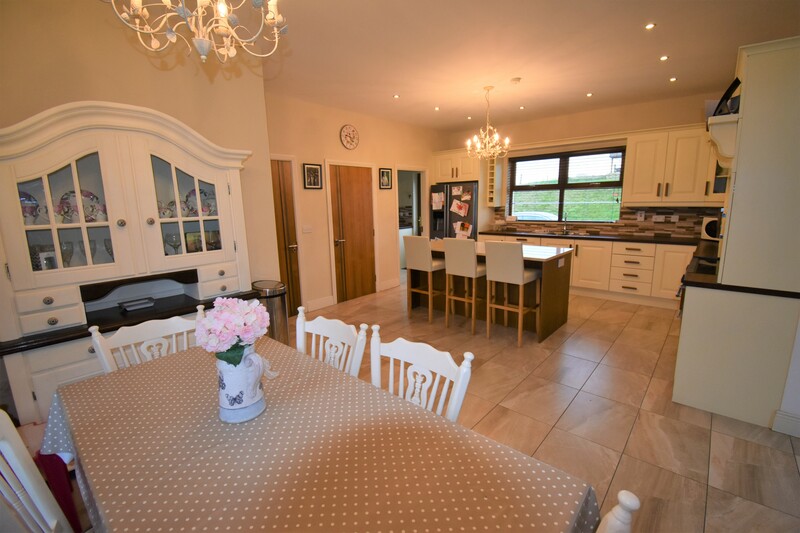 Incredible attention to detail combine with rooms of great proportions and beautiful presentation to create a truly magnificent family residence. A very fine property with a most handsome façade, built to an excellent standard, a crunching gravel driveway sets the tone as you approach the property, features include Woodgrain upvc double glazed windows, solid timber, plush carpeting and hi-spec tiling to all floors, oil fired central heating, open fire with marble surround, solid fuel stove, bespoke fully fitted kitchen with granite and utility room, spacious accommodation to include two reception rooms, open plan living/dining/kitchen area, four bedroom one of which is located on ground floor, two ensuite bathrooms and one main bathroom, office area, walnut internal doors, high ceilings and coving, a superior standard of fittings evident throughout. To truly appreciate the outstanding quality and unique appeal of this magnificent family residence, internal inspection is strongly recommended. House – 191.7 square meters (2063 sq. ft.) approx. 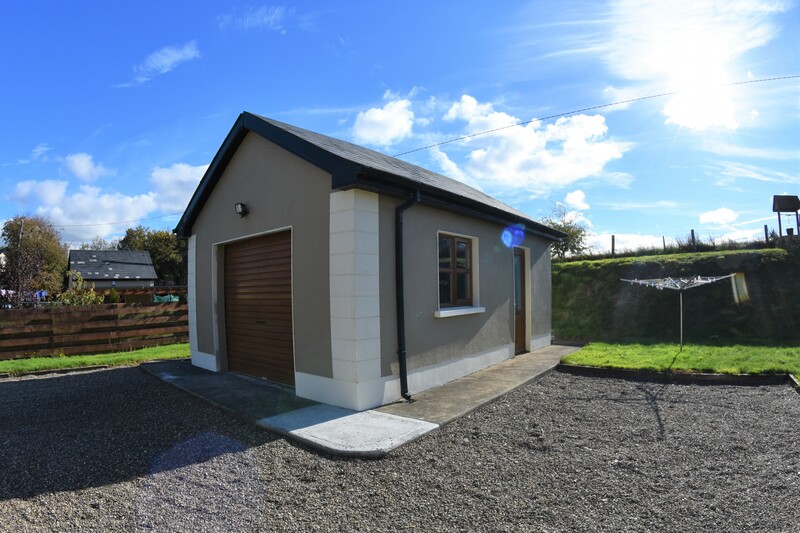 Garage – 52 square meters (570 sq. ft.) approx. 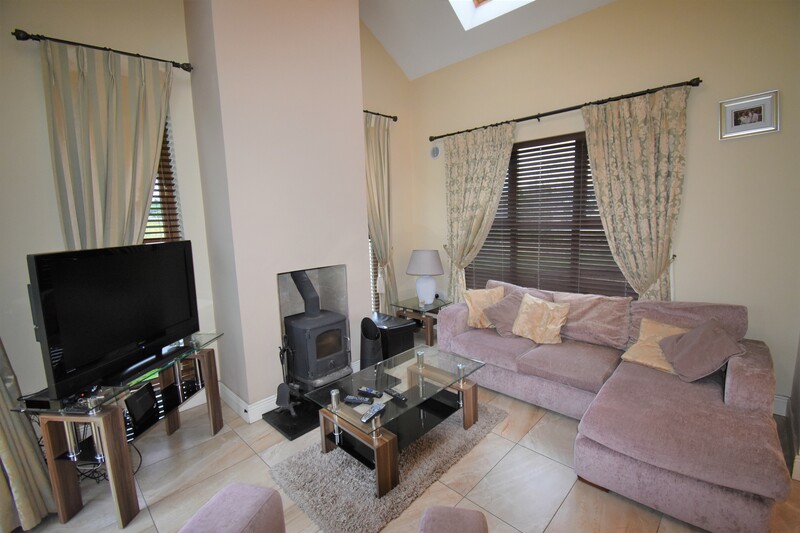 Well-appointed accommodation coupled with a wonderful presentation complimented by a picturesque garden, set in the village of Marshalstown, with church and primary school in the immediate vicinity within very easy walking distance. 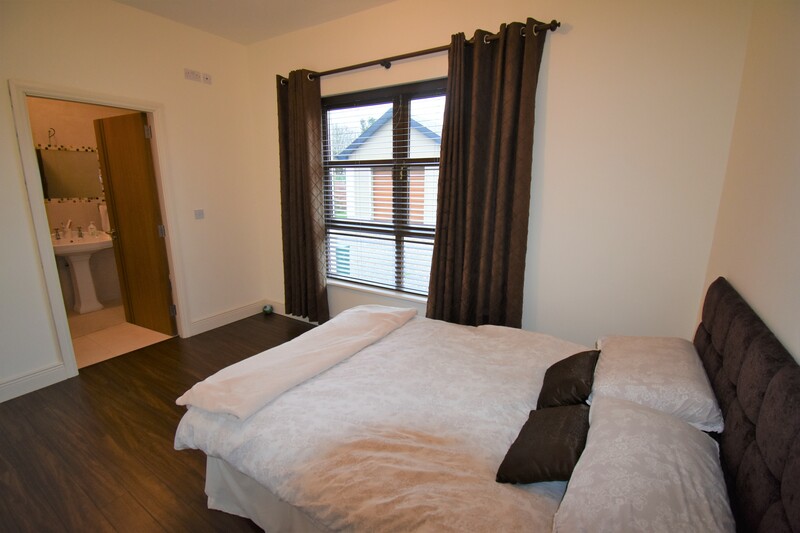 Enniscorthy town only 7.5km, Bunclody 15km with all associated amenities. 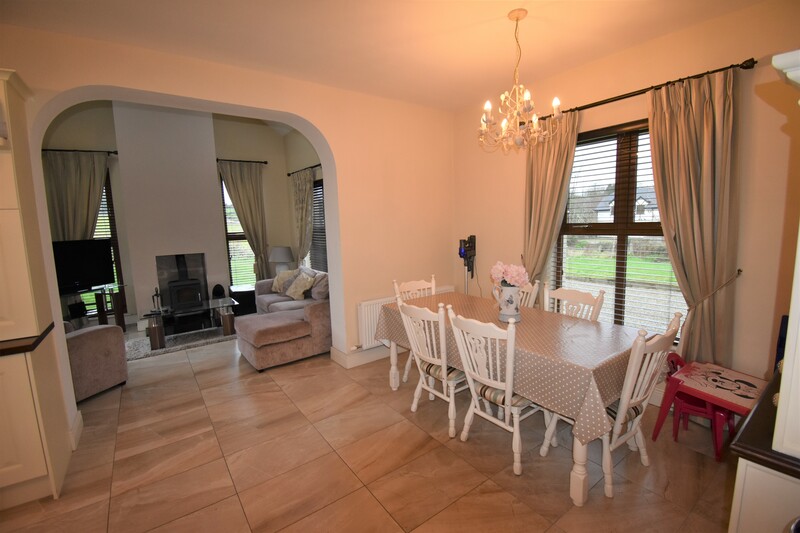 Very close to the N11 Wexford and Waterford to Dublin motorway due to open in 2019 and the M50 Carlow/Kildare/Dublin direction all combine to make this property a very accessible location. The internal of the property is finished to exacting standards with marvellous features such as walnut internal doors and solid flooring, bespoke fully fitted cream shaker style kitchen with granite and wooden worktops, handcrafted solid wood staircase, fitted utility room, hi spec tiling to all bathrooms and floors, decorative coving to high ceilings, fitted walk in wardrobe along with an excellent balance of reception and bedroom accommodation. 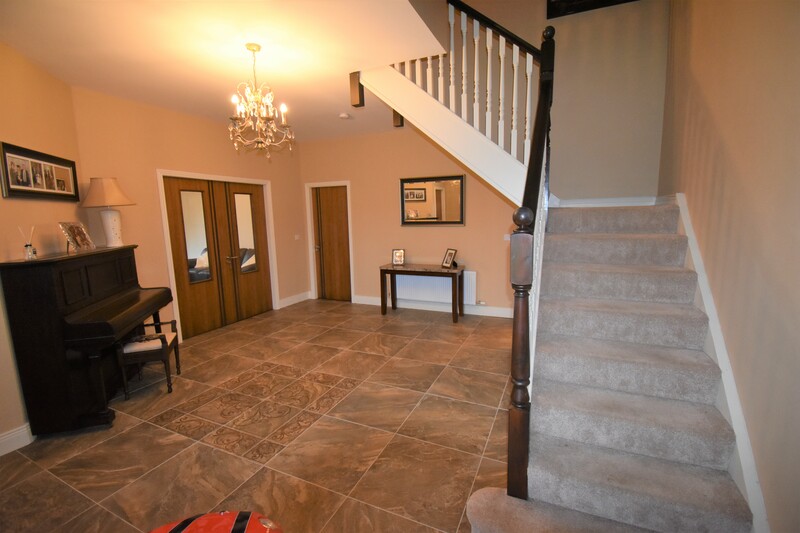 The interior is delightful, truly captivating with generously proportioned rooms throughout, briefly comprises a large spacious tiled entrance hall with handcrafted solid wood staircase with half turn leading to landing, high ceilings and coving. 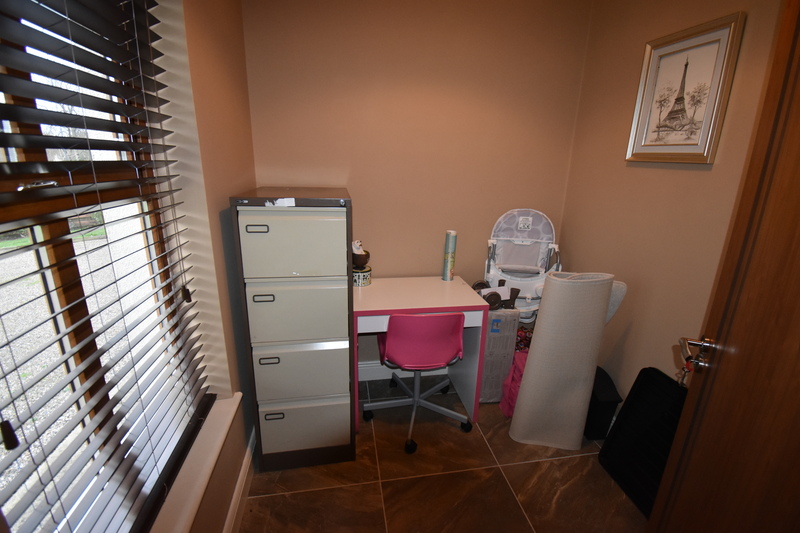 Useful storage and office area just off entrance hall. 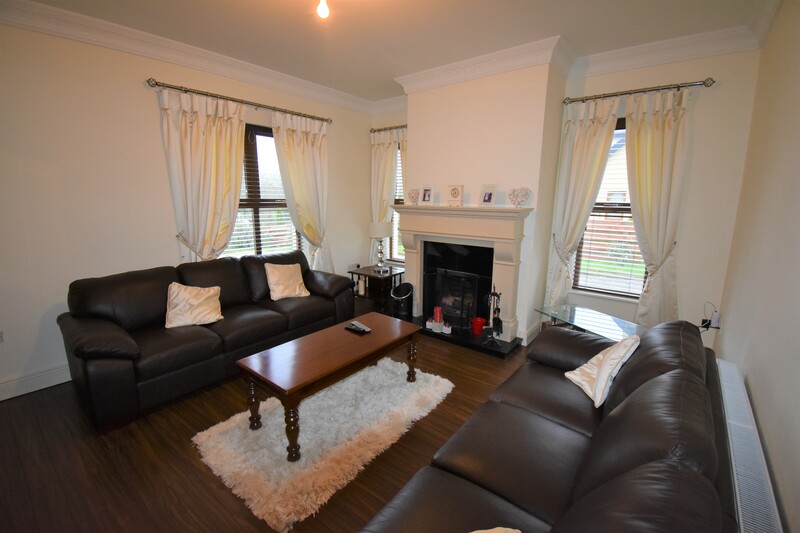 The main sitting room opens via walnut double doors, this room features walnut flooring and marble surround open fireplace. 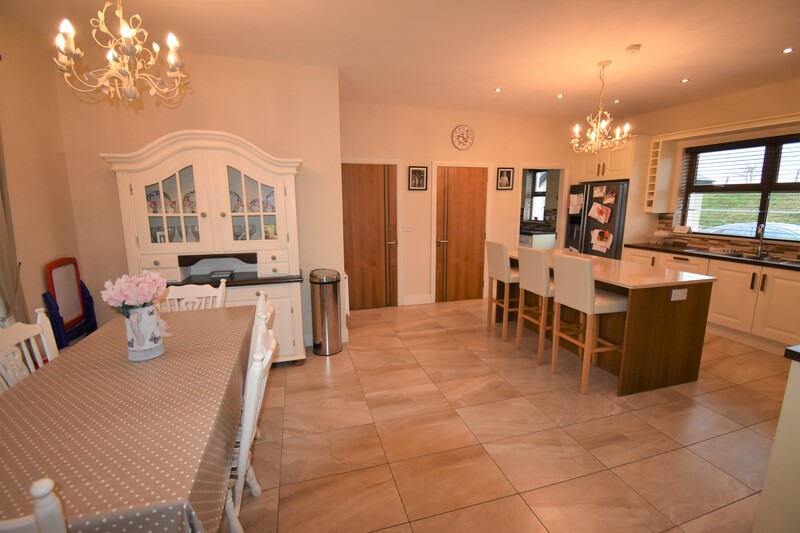 A principle feature of Cill Arann is the most magnificent kitchen/family area, with fantastic bespoke fitted kitchen in cream with integrated appliances, American fridge freezer, belling range type cooker, granite and treated timber worktops, island unit, leads to fitted utility room and wc/wbh. Kitchen open to dining and archway to living room/sunroom with morso solid fuel stove , this sunroom leads out via French door to Indian sand stone patio area fully enclosed very secure for small children or pets. 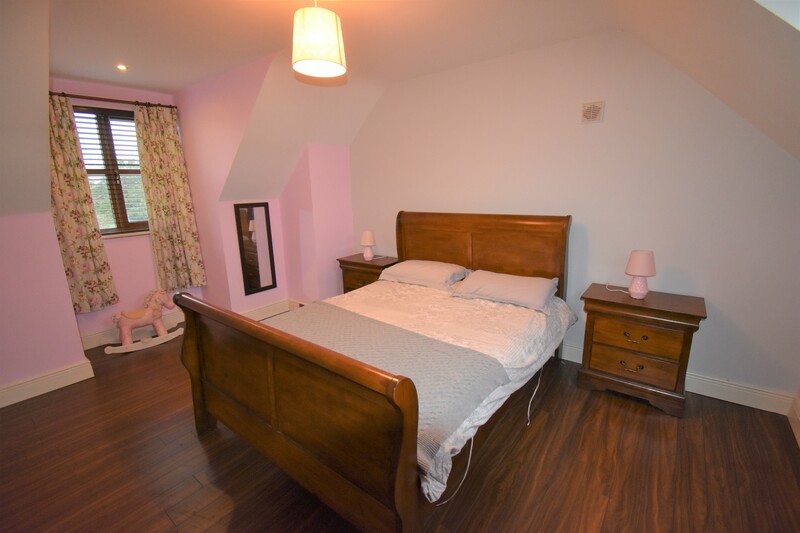 One of four bedrooms is located on the ground floor, with walnut flooring and ensuite wet room shower with electric shower fully tiled. 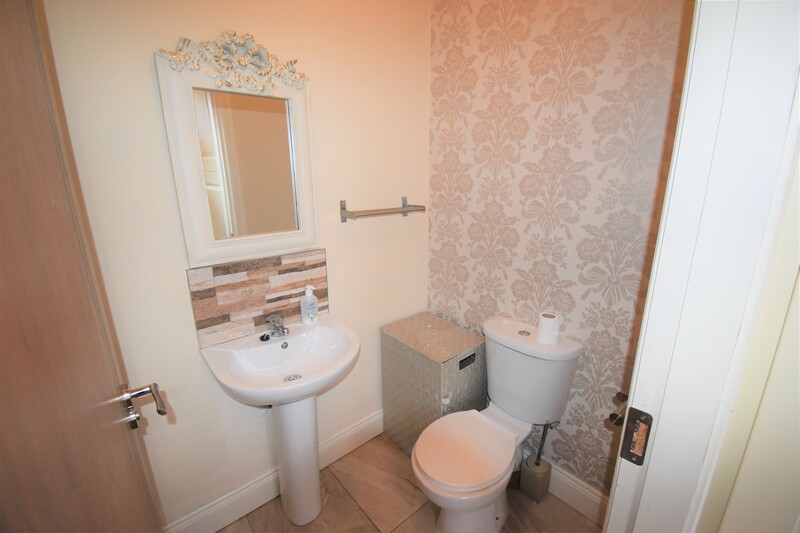 The first floor features main bathroom with bath fully tiled, three spacious double bedrooms. 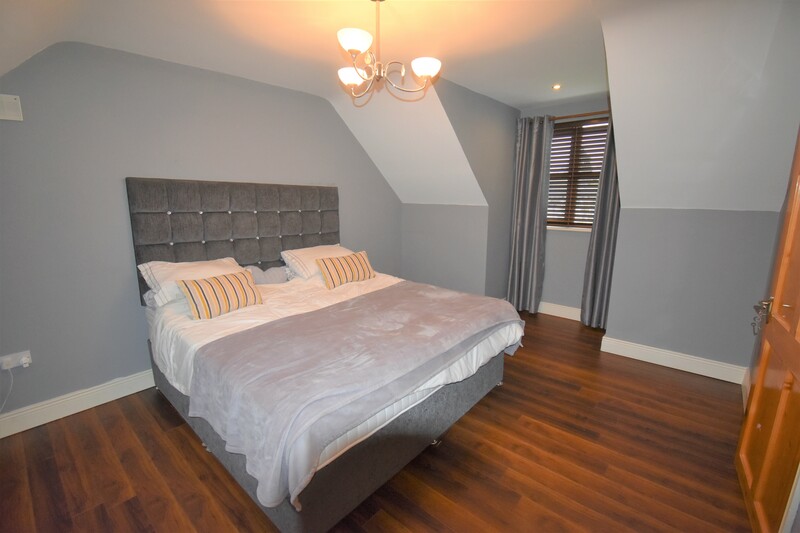 The master bedroom features fitted walk in wardrobe and ensuite bathroom fully tiled with electric power shower. 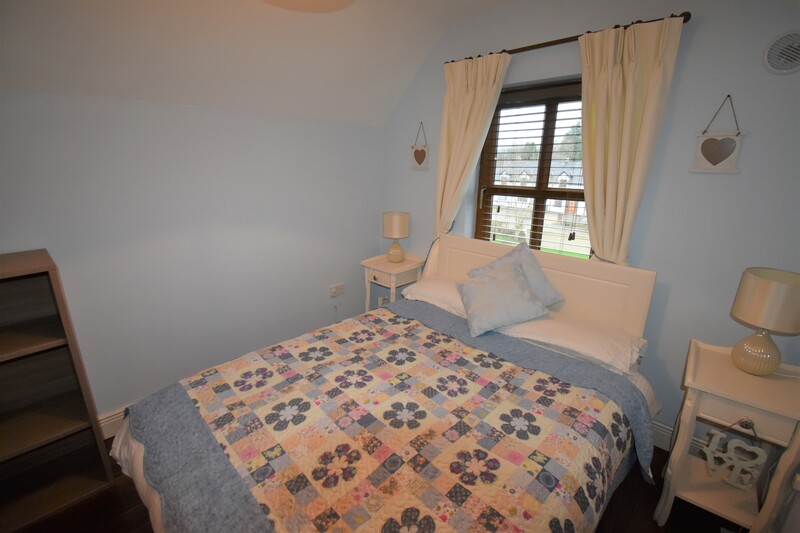 Every room has its own individual appeal, with beautiful views of the garden and surrounding countryside. 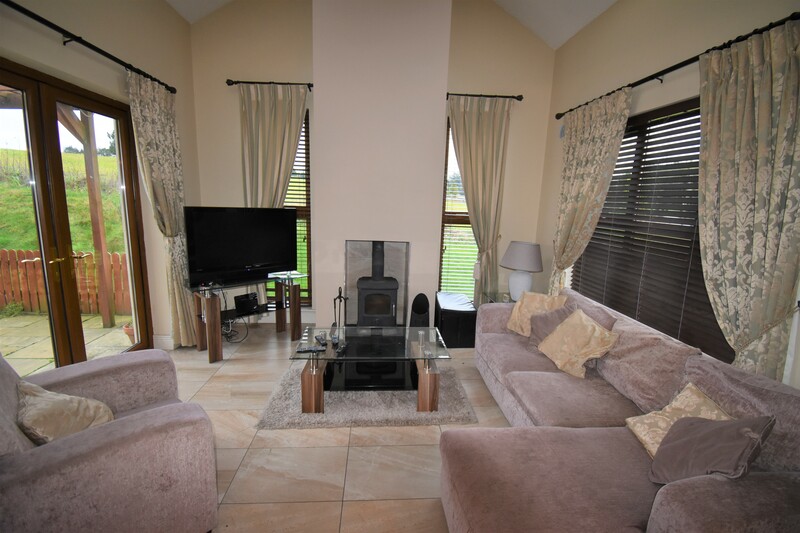 An impressive energy rating of B3 with its high degree of insulation to walls and attic along with oil fired central heating via Firebird boiler, open fire and solid fuel Morso Stove in living room. The property does not currently have solar panels fitted but an energy efficient tank in hot-press is left ready for solar panels. 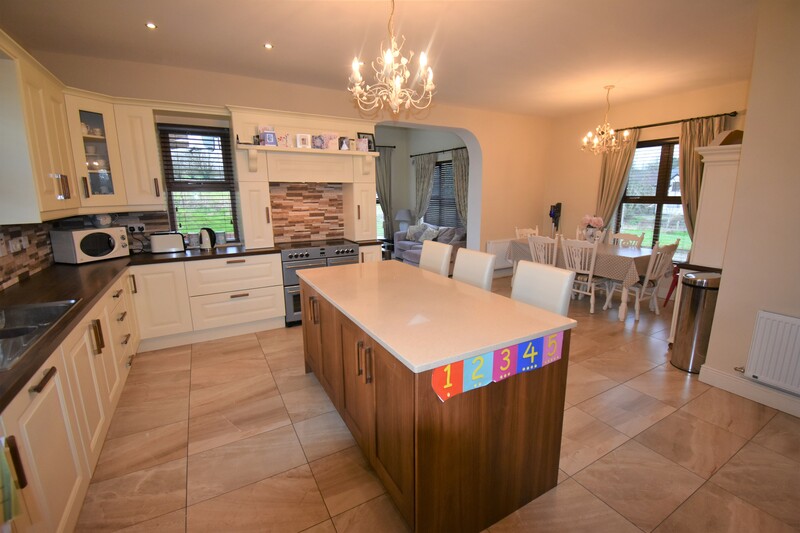 C0.5 acre of landscaped gardens, abounded to front by high walls and entrance pillars a pebbled driveway leads up to and surrounds the property with ample parking. 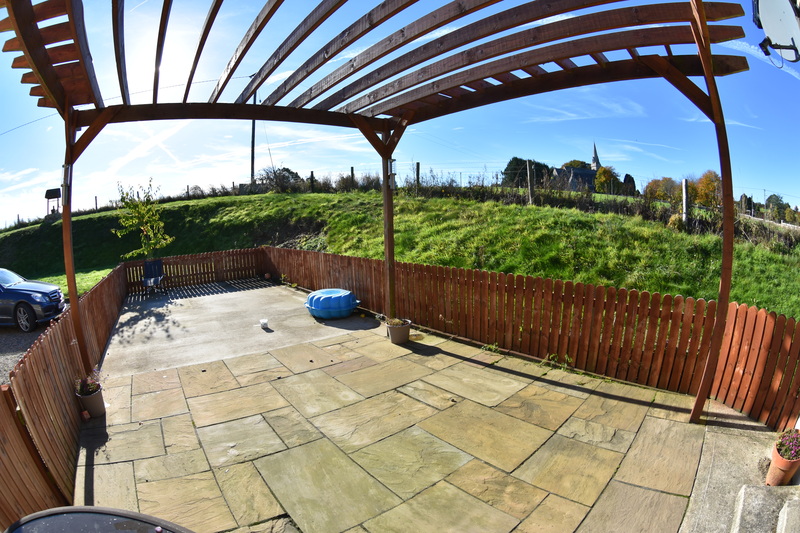 Garden is mainly laid to lawn with small stream running to front, the property is set on an elevated side with detached garage to rear and Indian Sandstone patio fully enclosed with timber fencing. 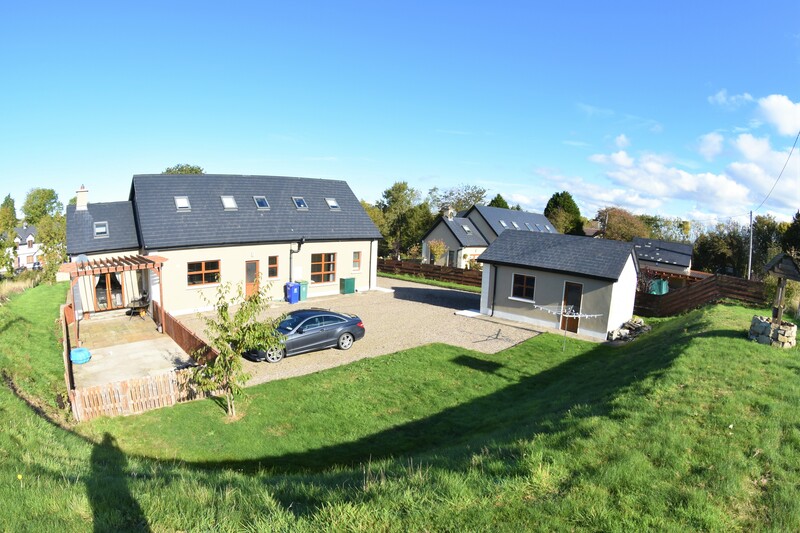 Mains electricity, septic tank private to front, private well to rear, Eir broadband, sky dish. 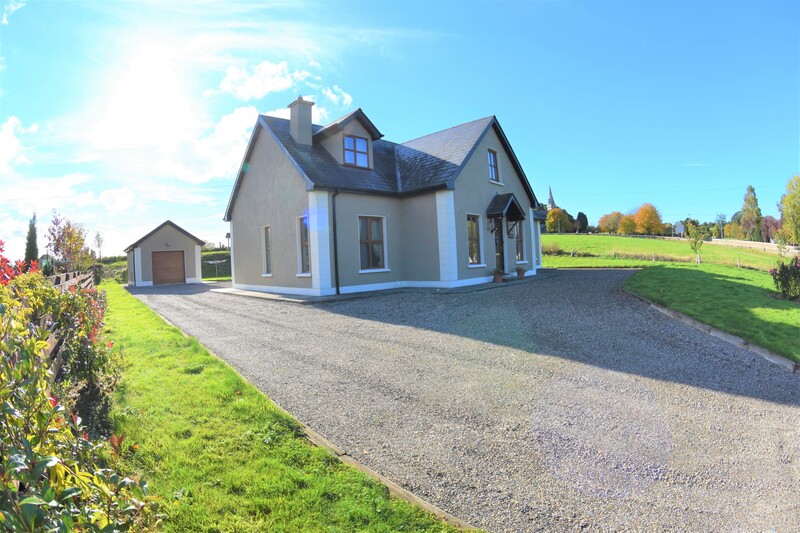 Located in the hearth of Marshalstown village, from Enniscorthy proceed in direction of Kiltealy, at roundabout at Lidl/Aldi proceed straight onto R702 1.6km, turn right Milehouse Cross, proceed 3.1km sign for Marshalstown turn right, 1.9km property on right hand side just after the Church. Tiled floor, staircase to first floor, carpeted. 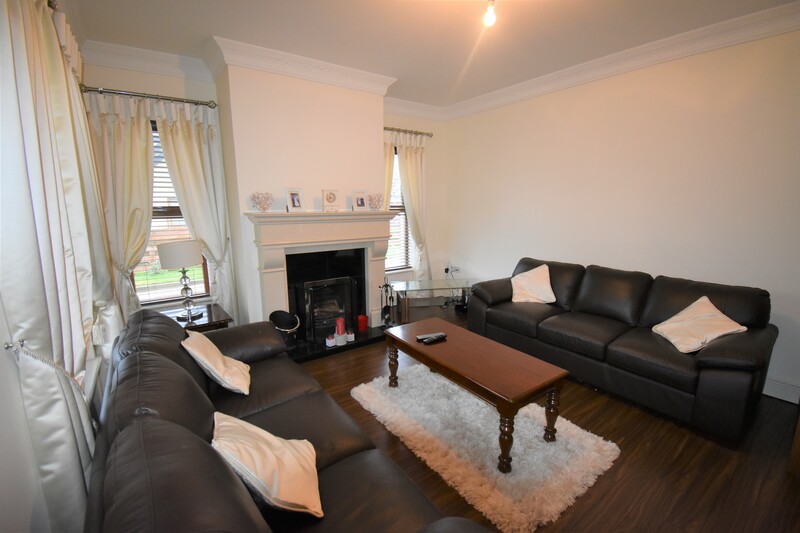 Walnut floor, high ceilings, decorative coving, marble surround fireplace, double walnut doors, tv & tel points. 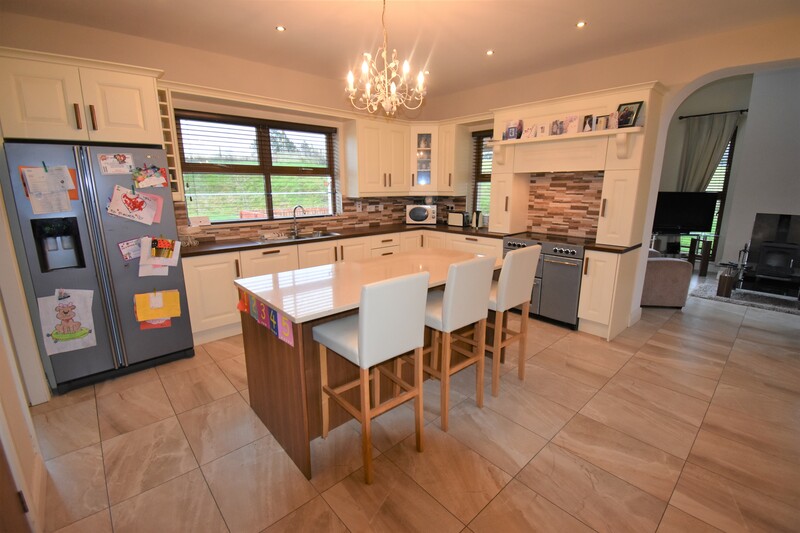 Fully fitted cream shaker style bespoke kitchen, granite & timber worktops, spot lights to ceiling, Range type Belling cooker, hot press, archway to living room. 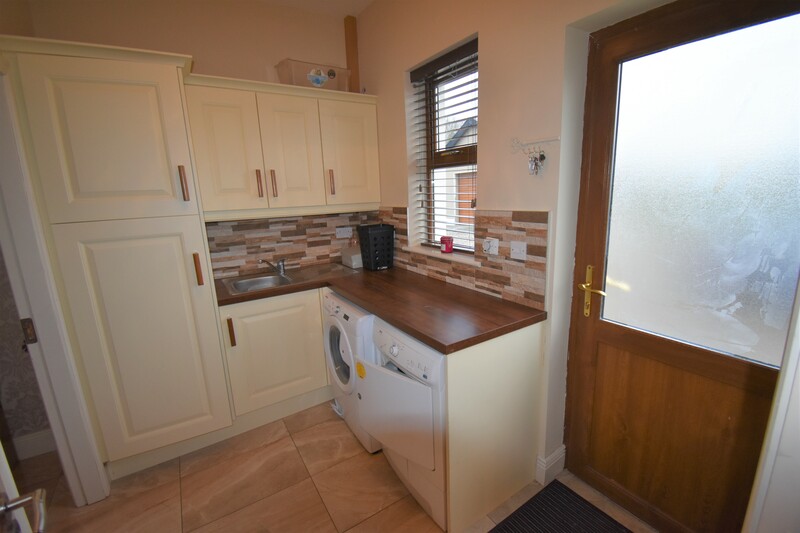 Tiled floor, solid fuel “Monso” Range, tv point, spot lights, french door to patio. Tiled floor, fitted presses & sink, plumbed for washing machine. 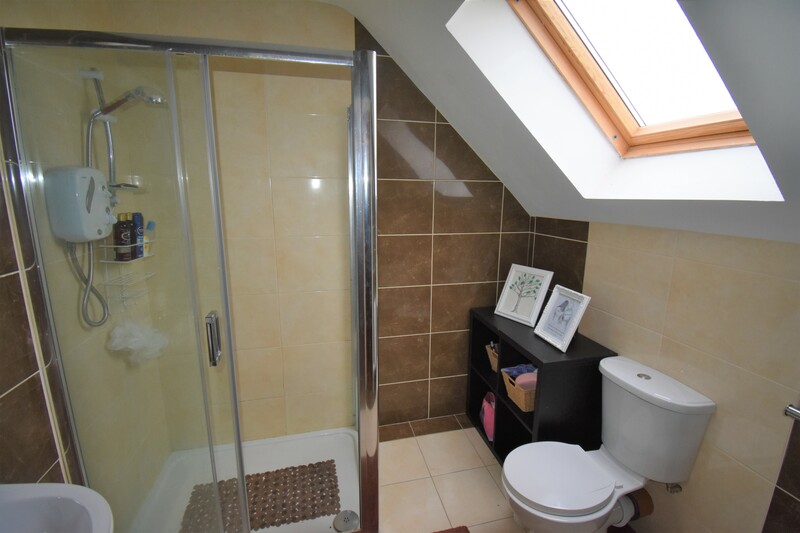 Wc, whb, walk in shower, fully tiled, Triton electric shower. 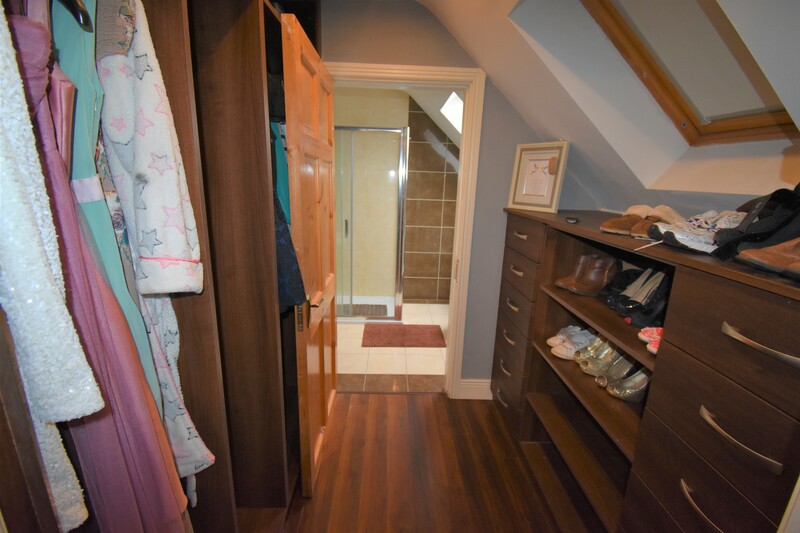 Fitted hanging & shelving in walnut. 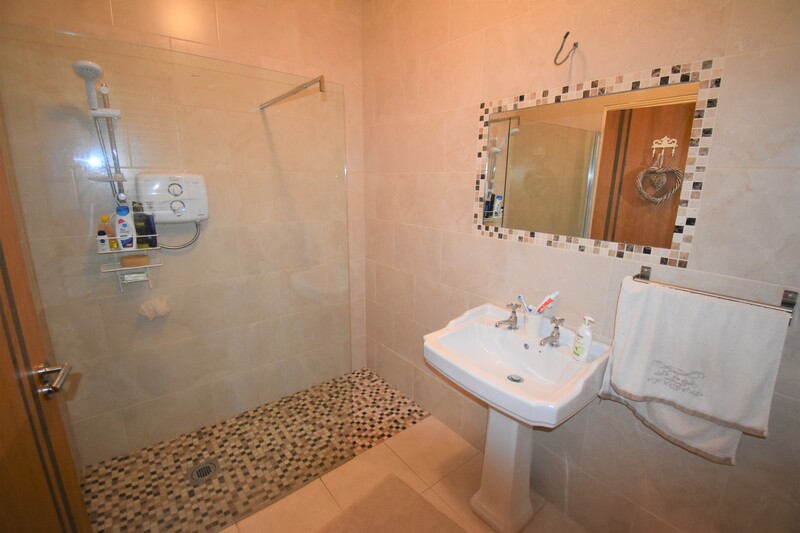 Wc, whb, Triton power shower, fully tiled walls & floor. 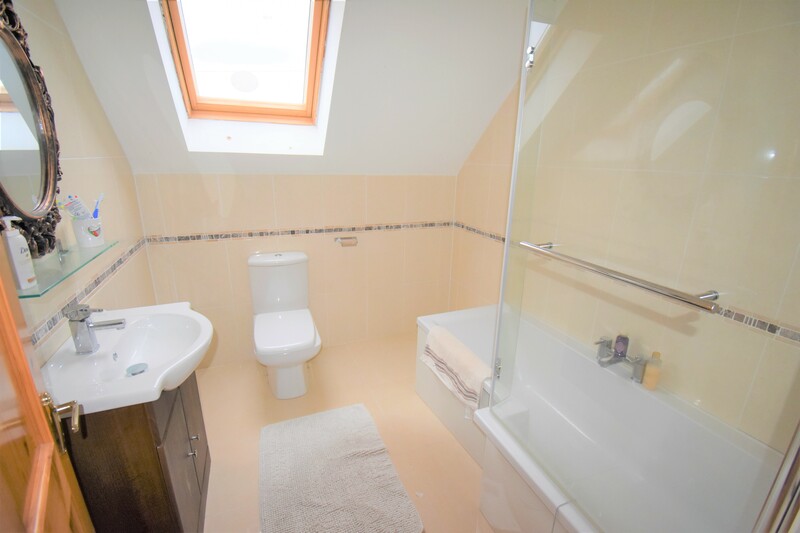 Wc, whb, bath, fully tiled walls & floor, shower screen over bath. 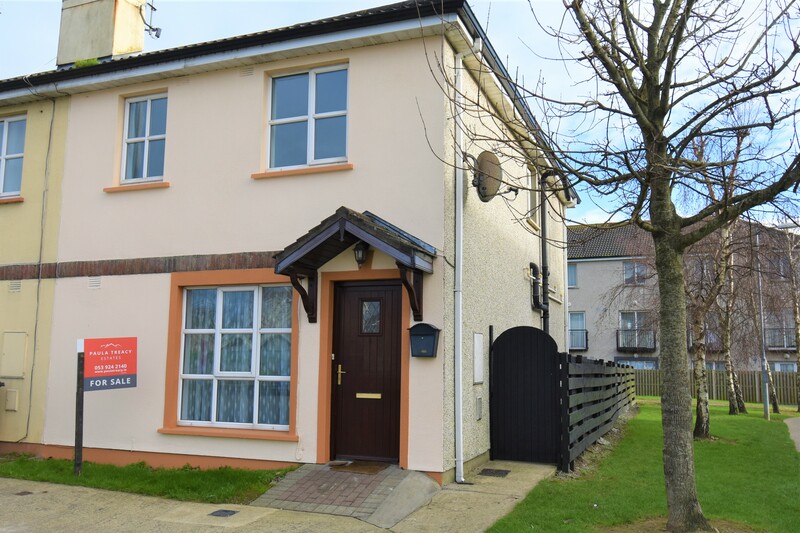 Y21 Y567 Located in the hearth of Marshalstown village, from Enniscorthy proceed in direction of Kiltealy, at roundabout at Lidl/Aldi proceed straight onto R702 1.6km, turn right Milehouse Cross, proceed 3.1km sign for Marshalstown turn right, 1.9km property on right hand side just after the Church.